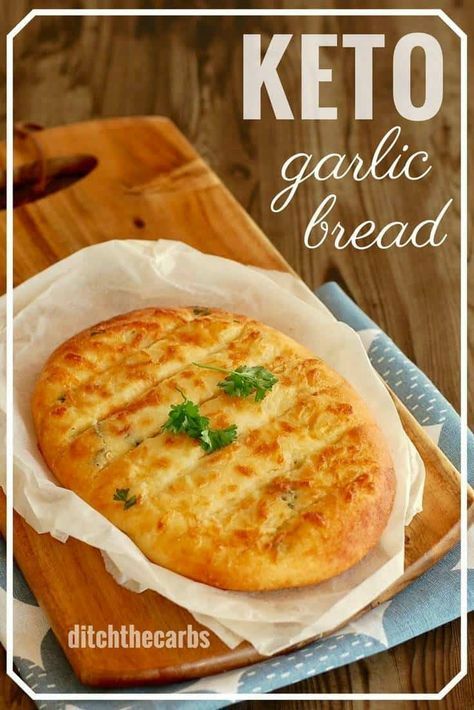 The BEST recipe for cheesy keto garlic bread - using mozzarella dough. At only 1.5g net carbs per slice, this is an absolute keeper for your low-carb recipe folder. For full instructions you can go to ditchthecarbs.com.